Star Wars: The Force Awakens didn’t open in China until a couple of weeks ago, which for now is protecting the box office records set by Monster Hunt, a CGI-heavy children’s movie with its own dense fantasy mythology. 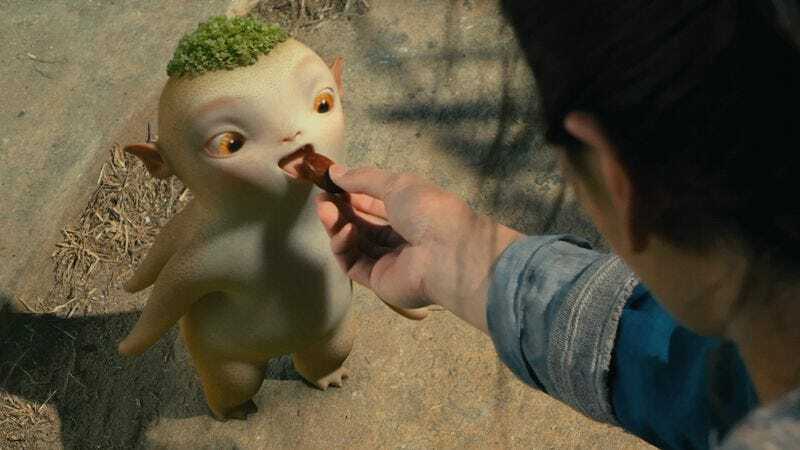 While the rest of the world was falling in love with Rey, Finn, Poe, and BB-8 last month, the Chinese were still cooing over Wuba, a newborn monster prince with the eyes of an angel, the fangs of a vampire, and the body of a root vegetable. In director Raman Hui’s sword-and-sorcery-infused kidpic, Wuba ends up in the possession of a timid government official named Tianyin (played by Boran Jing) and a bounty hunter named Huo (Baihe Bai), who intend to sell the cute little booger to a monster-hating Overlord. What follows is scene after scene of violent standoffs, narrow escapes, and weird-looking creatures—like Star Wars but with a lot more slapstick and fart jokes. It also comes from a director who straddles multiple worlds. Hui’s an animator by trade, making his first live-action feature film. And while he was born and raised in Hong Kong, he’s spent long stretches of his professional life working in Canada and the United States, helping bring DreamWorks’ Shrek and Kung Fu Panda characters to life. Just about anyone who’s seen any of the Shreks should be able to recognize some commonalities in Monster Hunt—not just because it also takes place in a faraway land of beasties, adventurers, and royalty, but because it’s boisterous to a fault. At its most excruciating, Monster Hunt attempts to squeeze laughs out of what is, essentially, body horror. The film begins with the dying Monster Queen extracting her fertilized egg and magically implanting it in Tianyin, who then spends the first half of the story dealing with the woes of motherhood: a bloated belly, a painful delivery, and a nursing plan that involves allowing the blood-sucking Wuba to bite down on his chest. Hui strikes a weird tone with these scenes, halfway between cutesy and gross. They fit awkwardly into a movie that also features a big monster musical number and what seems like an unceasing succession of martial arts showdowns. That said, there’s enough imagination and panache to Monster Hunt to justify its massive success. Bai gives a winning performance as a woman who’s beginning to question why she’s spent her whole life capturing these adorable little critters. The movie’s blunt theme—that “monsters” have a culture and dignity of their own, and don’t deserve to be demonized by humans—is a worthy one. And in the handful of scenes set at a gourmet restaurant that serves a variety of tasty dishes made from monster, Hui finds an impressive balance between eye-catching design and repugnant images. Will any of this play in the United States (where the film is being released in both dubbed and subtitled versions, and in both 3-D and 2-D)? Seems unlikely. 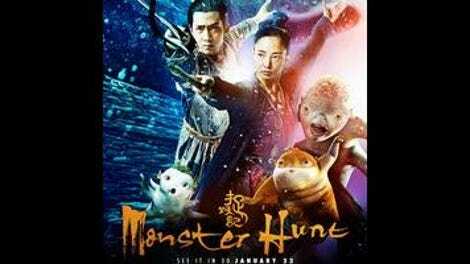 Martial arts aficionados will probably find Monster Hunt too juvenile, while actual juveniles could find it too weird. And ordinary adult moviegoers may wish Hui and screenwriter Alan Yuen had come up with more scenes as witty as the one where Tianyin and Huo feel a pang of longing for Wuba when they see a street vendor chopping up a daikon radish. Monster Hunt tries very hard to please, and occasionally does. It’s not a big hit for no reason. But more often this feels like an empty spectacle, designed to bring customers through the door. We’re getting elaborately prepared, overly garnished plates of sliced and fried monster—which usually taste better served plain.